So you have decided to take advantage of the benefits of being a homeowner!! Although the process may seem intimidating, it doesn't have to be! I have created a brief overview of what to expect during the home buying process and tips to make buying a home smooth and easy! 1. Financing! Most importantly the very first thing you should do is to speak with a lender, SAVE THOUSANDS...by checking out KW Zero Mortgage... download the app, click 'Keller Morgage Save Thousands, accept our disclosure... the application is fast, free and easy. Be more competitive with making offers, low rates, and a 30-day close! You can also get pre-approval from a local bank﻿ or credit union. As a professional Real Estate agent, we know you have probably already taken your first time... and that was viewing homes online or via the MLS. Although this gets the ball rolling, finding financing is really your most important step. Here's why.... your lender or credit union will verify your credit rating and your debt to income as it relates to how well you will pay back to money that you have borrowed for your new home. This also gives you comfort and knowing what you can afford and where you would like your monthly payment at. Your lender will also be discussing plan options and what loan product will best fit your situation. You can be a first-time home buyer, an investor or purchase a move-up or 2nd home. Also, don't forget about special programs to save you money!! 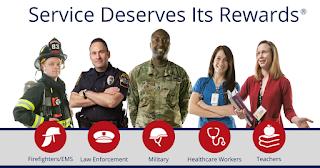 Check HeidisHeroRewards.com to see if you qualify for special discounts for teachers, EMT's, Police Officers, Healthcare works and Military!! Talk to me about Homes for Heroes, or click the link to learn more! 2. Find a Realtor, a great Realtor is the key to your success in finding a home, especially in a fast moving market! You may already know a Realtor or have a referral from a family member or friend. Ask questions, utilize them to fullest... remember, they're service to you is exclusive, you want your Realtor acting on behalf of you instead of the seller during the transaction. Get the local advantage, find a local Realtor that knows the in's and out's of the current market and a Realtor that practices Real Estate full-time as in a fast market, it's important to have someone paying attention to hot new properties, and that person should be willing to set up a showing at all reasonable hours to "get you in." 3. Evaluate your true needs and compare them with your budget. 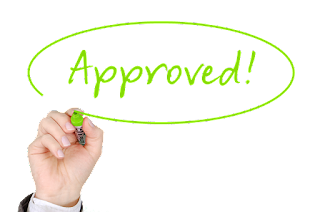 Since you already have the preapproval letter in hand from your lender, you are now ready to compete against other offers once you find the perfect home for you. Your Real Estate agent will be able to help you with a realistic purchase compared to your wants and needs list. Pick your top three things and let your Realtor know so they can start narrowing properties for you. We're currently in a seller's market, which means the seller's have a tad advantage and can possibly set a higher sale price. It's important that your Realtor knows the current market trends so they can help you write a competitive offer without you overpaying for the property. 4. Happy House Hunting! Your Real Estate agent is by your side, you've reviewed the home buying steps 101 and you're well qualified and preapproved for a loan... so let's start looking! It's fairly typical to see several properties in one day, so the key is to have a notebook or have your agent print you a separate listing of MLS homes with showing notes. The more houses you see in one day the greater chance that these homes will blur together. Feel free to rate them to your "must have" list. Make notes of pro's and con's of the home so you can review them later. 5. Writing the offer. 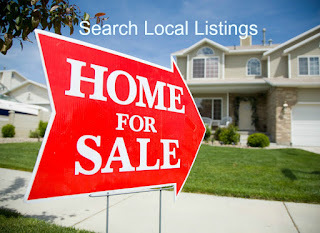 Have your agent review current and previous MLS listings to compare them with the asking price of the prospective home. Check the length the home has been on the market and evaluate that with the current price. It's possible the seller may be willing to accept a lower offer, but time on the market and price will be a big factor. In a fast moving market, it's customary to see a home go in multiple offers. This essentially means that you will want to find a "cap" to what will be acceptable for you to pay for the particular home and don't go over that number. A highest and best offer will be requested from all parties and the highest/best offer will be the winning bid. Financing type, down payment amount, price, and closing time are typically the biggest factors to consider when you're competing against other offers. Getting advice from your experienced Realtor will help you in writing the best possible offer. 6. Clear Contingencies! Completing all the contingencies of the purchase agreement. The only way to assess the integrity of the home you're about to purchase is to have a buyer's inspection of the property. This inspection will be paid for at your expense. Depending on the size of the home and the area you are having the inspection completed in, they can range from $450-550 and sometimes less depending on if you only want the major mechanicals inspected. Also, please consider having a radon inspection completed. If you're unfamiliar about radon, ask your Realtor for guidance. The inspection isn't the only contingency that has to be met during the purchase agreement, you also have a financing contingency that states, if you financing changes (wage, hours of expected attendance, or of course if you are let go) you will likely not qualify anymore to purchase this home. Should this be the case, you will then be given back your earnest money and a cancellation will be signed by all parties. Another common contingency is the Statutory Rescission found during the purchase of a home that includes a Home Owner's Association and type of management company. This can be for a townhome, condo or planned/gated community. Essentially this is the 10-day right of rescission that allows you to review, the rules, the regulations you must abide by, their financials, see what profit is left for the previous year budget etc. All these things can be reviewed by you before the final purchase agreement is written to ensure that you can agree to the terms appropriate for the development. This is also the time where a septic system can be tested, a well water test is complete etc. Based on the results of these findings you can choose to proceed or not with the sale of this property. Once all the contingencies have been removed the appraisal is ordered. 5. The Appraisal! The results of the appraisal are to ensure the money you are borrowing from the lender is appropriate to market value and not above. The lender wants to know their investment is protected should you default on your loan at some point. The appraisal is one of the larger pieces of the home buying puzzle. Once an appraiser has determined the value is accurate, the final documents are prepared, the lender will clear up any additional paperwork they need from you, once all of that has been satisfied a clear to close will be issued and the closing will be scheduled. 6. Closing! Getting to the closing table! The journey seems long, but I assure you, your lender and your Realtor will be there every step of the way ensuring your transaction is a smooth one! The important things to bring to closing will be your down payment funds, refer to your lender for the right amount. These funds will typically be in the form of a cashier's check made payable to you and sometimes the closing company (verify with your lender or title company). You will also want to bring a copy of your driver's license, know your social security number as you will need to verify the accuracy of it on the documents at the table. Also, some closers do like a written statement of the addresses you occupied for the prior 10 years. It's best to compile a list prior to closing so you have that information readily available. Once all the documents are signed... you get the keys!! Congratulations on your new home purchase!